The prophecy we are addressing is one of the most amazing prophecies that I’ve ever seen in God’s word in that it specifically tells of the very day that the Messiah would present Himself to Israel as their Redeemer, which Jesus fulfilled on the 10th of Nicaea in the year 32, when He OPENLY PRESENTED Himself as the Messiah, four days before His crucifixion, which we call the Triumphant Entry. Whereas this prophecy is an amazing undertaking yet made available because of the detailed and hard work of one particular individual, Sir Robert Anderson (est. 1899 AD), who believed that God’s word was to be taken literally, wherein by examining God’s word in great detail, the fruit of which would be faith. All leading to the conclusion that this book was not written by man, but by a God that is outside of our time domain, who can see the ending from the beginning (Isaiah 46:9-10); who is all-powerful, and in total control of His creation (Isaiah 45:5-7), and therefore this Book is worthy of our complete trust and faith in what it says, as God declared concerning what He has done, and will do still yet (Isaiah 46; Jeremiah 29:11). In 1899, 116 years ago, Sir Robert Anderson published the book: “The Coming Prince,” (It was republished in 1957, and is in current publication and can be purchased at any Christian book store), which deals with the 70 weeks of Daniel regarding Daniel chapter 9, verses 24 through 27 wherein we see an alignment with the book of Revelation which is far beyond coincidence, and addresses the issue we are dealing with today, the First Coming of Jesus Christ. However, it is this book “The Coming Prince,” among 2 dozen others which we as believers are indebted to this man for his diligence in approaching and handling of God’s word. This verse gives a prophecy in the form of utilizing the specific date the Messiah would present Himself in a numeric formula utilizing a benchmark in time which is known by both secular historians, as well as Christians; the order to rebuild Jerusalem. The first question is who would give such as an order, the obvious answer is a King. But what King? History presents that there were 4 orders given by Kings of foreign nations, which had captured the inhabitants of Israel, wherein later gave decrees to rebuild Jerusalem in some manner. However, the below prophecy refers to a decree that is given which is very specific in that it mandates that the walls are to be rebuilt, as well as the streets. 24 ~ “Seventy weeks are determined upon thy people and upon thy holy city, to finish the transgression, and to make an end of sins, and to make reconciliation for iniquity, and to bring in everlasting righteousness, and to seal up the vision and prophecy, and to anoint the most Holy. 25 ~ Know therefore and understand, that from the going forth of the commandment to restore and to build Jerusalem unto the Messiah the Prince shall be seven weeks, and threescore and two weeks: the street shall be built again, and the wall, even in troublous times. 26 ~ And after threescore and two weeks shall Messiah be cut off, but not for himself: and the people of the prince that shall come shall destroy the city and the sanctuary; and the end thereof shall be with a flood, and unto the end of the war desolations are determined. These four verses have filled more volumes in the last hundred years regarding the subject of prophecy, than probably any other section of Scripture. And as stated above, we are only going to directly address verse 25, as time does not allowed to accurately handle all four verses, we shall also attempt to lightly touch upon other aspects of these prophecies. The scope of this introductory verse regarding this passage of prophecy involves an announcement of time which is distinguished as 70 weeks. 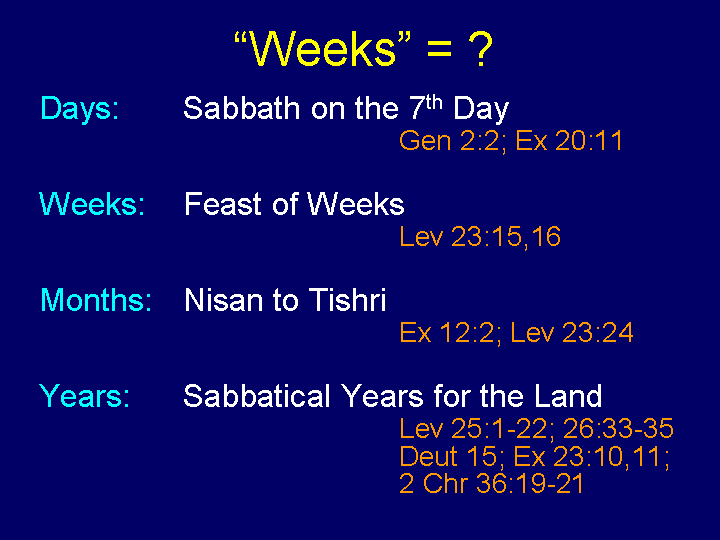 And as we will later explore, this handling of the word “weeks” is never meant to indicate exclusively 7 days, as in 24 hour days; Yet in this case is handled as weeks of years, wherein 70 weeks of years, which would translate into 70 periods of 7 years each would total 490 years. Therefore the totality of the scope of this prophecy, 490 years is determined in regards to the Jewish people and upon Jerusalem their holy city; with verse 25 giving us the starting point of this period of time, wherein the order to rebuild Jerusalem, including the streets and the walls of the city. 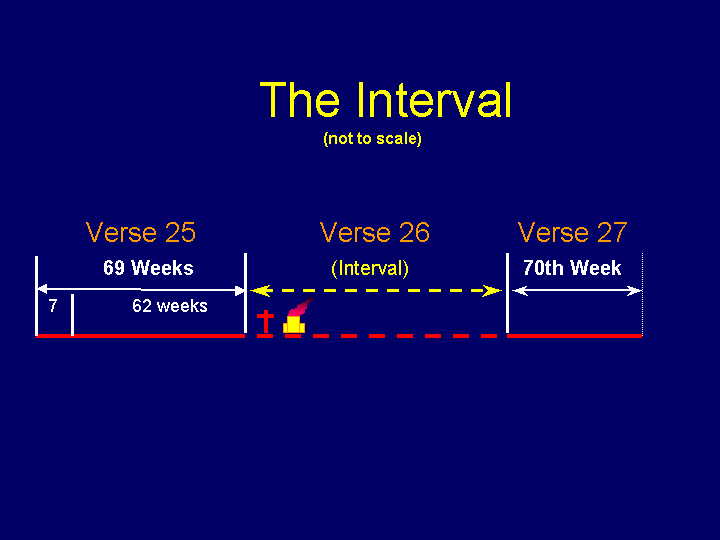 Yet what is not stated, but directly inferred is that there is a parenthesis between the 69th week, or 483 years, and the final 7 year period, which we believe is also referenced as the great tribulation referred to in the book of Revelation, when referring to the Prince of the people that shall destroy the city and the sanctuary. The people that destroyed the city and the sanctuary where the Romans, which has given the insight that the Antichrist who shall be there Prince hundreds of years later, comes out of the Roman empire which at its greatest point expanded from Great Britain, Europe, Asia minor, Egypt, and North Africa. 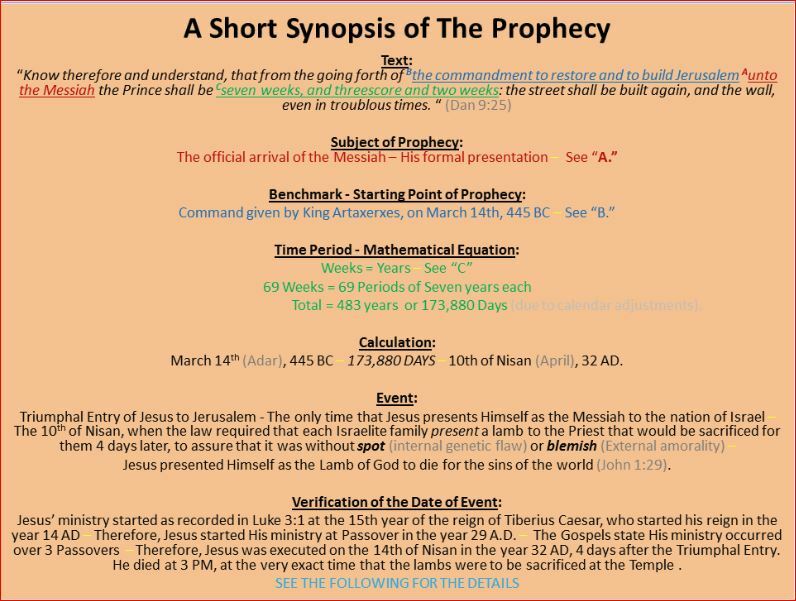 Certain of these conditions are met at the crucifixion which would include a reconciliation of iniquity, with the seal up the vision and prophecy being fulfilled in the late 18 hundreds wherein the understanding of the full meaning of this section of prophecy became known. We are not to simply walk past this passage because it seems to mysterious to unfold. It is God who has mandated that at some point in history, an understanding of this passage would be undertaken because somebody would obey His command to “know therefore and understand,” meaning that someone had to work out the puzzle, and uncover the truth of this text. They would not only need to know this text, but to understand, what it meant. As stated above, the first question is who would give such as an order, the obvious answer is a King. But what King? History presents that there were 4 orders given by Kings of foreign nations, which had captured the inhabitants of Israel, wherein later gave decrees to rebuild Jerusalem in some manner. However, the above prophecy refers to a decree that is given which is very specific in that it mandates that the walls are to be rebuilt, as well as the streets. 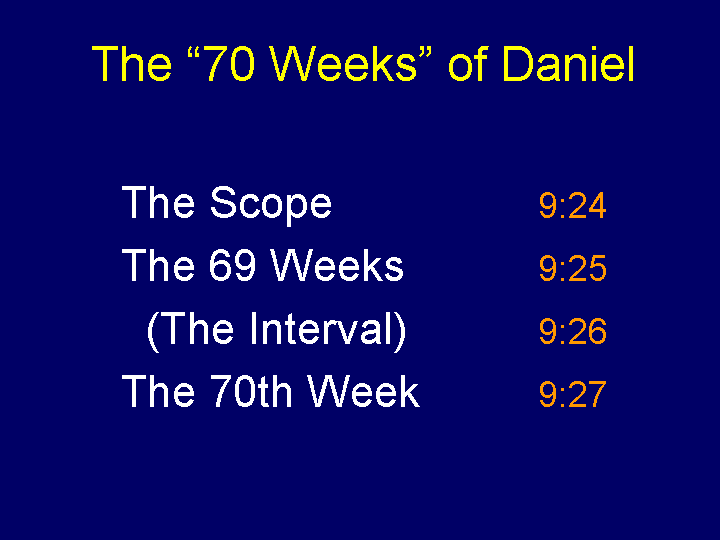 Sir Robert Anderson, in his studies came to understood that the term in the English translation of the Bible, “weeks” did not simply means 7 days as we currently understand it in our English, but was a term that God utilized concerning the number 7; as in 7 weeks, 7 months, and 7 years; indicating that the true interpretation of this word, “weeks” is the word “seven” as opposed to our English understanding as a week being 7 days only. 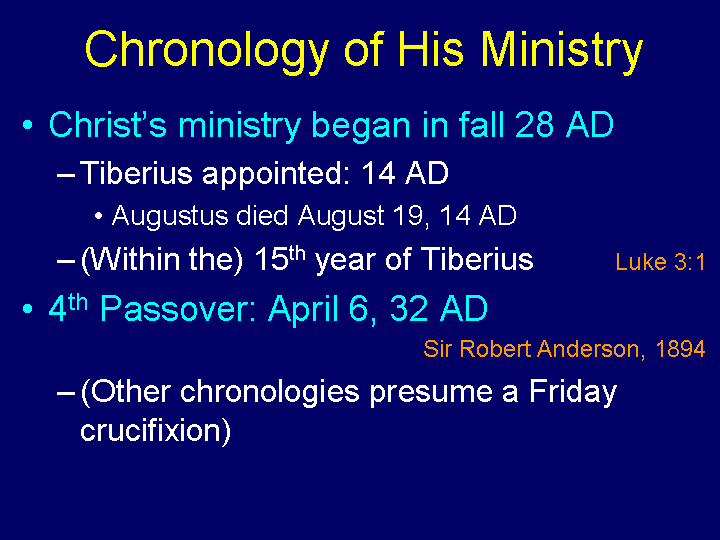 In his research, Sir Robert Anderson also found where the Bible referred to a year as 360 days, because there were twelve months determined in a year, and each month was thirty days long. This was determined by cross-referencing certain passages, such as: Genesis 7:24 with Genesis 7:11 with Genesis 8:3-4. Genesis 7:24 ~ States that the waters prevailed upon the earth a hundred and fifty days. Genesis 7:11 ~ States that this process started in the second month, on the seventeenth day with all of the fountains of the great deep breaking up and that windows in heaven open to deliver water and rain upon the earth. Genesis 8:3 ~ States that after a hundred and fifty days the waters abated, with verse four stating that the Ark rested in the seven month and the seventeenth day of that month (Where some may quibble with the Hebrew translation, as the Hebrew is a more vague language; however, according to the exactness of the Greek Language, as seen in the Greek Septuagint Translation of the Old Testament, which Jesus validated Himself as He quoted from it, wherein the fourth verse states that precisely 5 months after the time of the flood, the ark rested, with verse 3 identifying this as exactly 150 days; mandating a 30 day month). What this is indicating, is that there was five months between the second month and the seventh month which repeatedly is stated as a hundred and fifty days (Genesis 7:24; 8:3) which mandates that each month was thirty days long. Both of these verses, verse 2 and verse 3 refer to the same span of time. Verse two indicates that this time period is 42 months, which if each month is 30 days long would be a total of 1260 days, which is what verse three indicates concerning the same span of time. I was always to bugged by the idea that God who is perfect, and never creates junk; could create a world with a wobble, wherein the wobble is a sign of imperfection, and is inconsistent in its orbit. With the results manifest that within our calendar year, in order to make up for the wobble we utilize a leap year every 4 years to correct for the 5 and a quarter days inconsistency, yet the math never seem to really work out – did something happen to the earth to throw it off its axis after God’s perfect creation – with the results of this anomaly concerning our calendar? It also amazes me that the Jews originally had a calendar system of 30 days per month, and 12 months per year; which comes out to 360 days a year – the perfect number of a circle, referred to as pi which is a mathematical constant; hence 360 degrees of a circle. 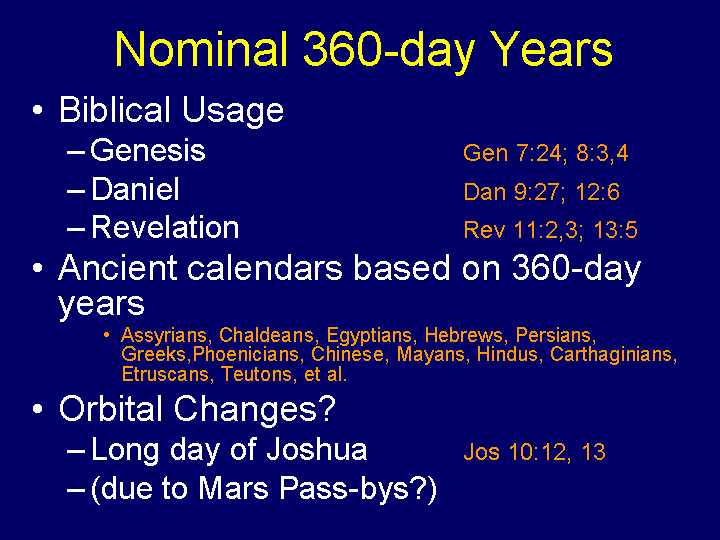 In the Hebrew language there is also a pun concerning the words “circle” and “Earth,” wherein there is a direct connection between 360 degrees and the Earth – yet how did we get 5 and a quarter days off, was it because of the wobble (At some future date we will address the long day of Joshua ~ Joshua 10:12,13, which states: “Then spake Joshua to the LORD in the day when the LORD delivered up the Amorites before the children of Israel, and he said in the sight of Israel, Sun, stand thou still upon Gibeon; and thou, Moon, in the valley of Ajalon. And the sun stood still, and the moon stayed, until the people had avenged themselves upon their enemies. Is not this written in the book of Jasher? So the sun stood still in the midst of heaven, and hasted not to go down about a whole day.” Wherein the sun appeared to be frozen in time, yet this would be the appearance if time was extended, however God did this, would He not do something physical which would produce the event recorded in the book of Joshua? ), and why is North, no longer North? Whatever changed the orbit of the Earth and created a wobble, whatever change the calendar system from 360 days to 365 and a quarter days, whatever changed the consistency of a 30 day month wherein the Hebrews knew exactly the location of the moon during this 30 days, whatever attributed to this change we do not know, we are just left with the fact that something occurred! Sir Robert Anderson began a diligent study after uncovering these Scriptures and attempting to answer some of these questions wherein he discovered, and documented that there are 18 separate calendars from independent cultures and races which also validated a 360 day year prior to 700 BC. This is exactly what happened to Jesus who was executed; accused of blasphemy by claiming to be God and as far as the Jews were concerned, yet causing’s sedition as far as a Romans was concerned, yet dying for the sins of others as far as God was concerned. We will pause for a minute and consider the destruction of Jerusalem little further before getting back to the passage at hand. Recapping the situation, the disciples were bragging about the temple and Jesus prophesied that not one stone would be left upon another, which is where Jesus is speaking about the destruction of Jerusalem. First we must realize that this situation in Matthew chapter 24 is also recorded Luke chapter 21. SIDENOTE: Biblical Context – When studying God’s word we must realize that a vital and necessary tool is that of cross-referencing any passage regarding the same event or situation with other biblical passages in order to gain a complete understanding of what is going on and being said. Many teachers speak of the primacy of “Immediate Context,” many times simply referring to it as “the context” of a passage, in a singular manner (I am not speaking about a hermeneutical system, which is actually incorrect to begin with; as contrast, while a tool within hermeneutics or principle, within schools of philosophy it is not considered a system all in itself); yet this is fully incomplete. While the immediate context is always necessary in order to understand what the text is saying, if you do not take into consideration the biblical context as a whole, you may error as much as avoiding the immediate context in the first place. Example: In Matthew chapter 17 Jesus deals with an individual that was possessed by a demon, wherein the disciples could not cast out the demon, Jesus stated in verse 20: “And Jesus said unto them, Because of your unbelief: for verily I say unto you, If ye have faith as a grain of mustard seed, ye shall say unto this mountain, Remove hence to yonder place; and it shall remove; and nothing shall be impossible unto you.” Now if you are a Jesus only person, a individual that is supposedly a Christian that only uses their Gospels as God’s word, and you take this within the immediate context; you can say that literally anything you want God must grant to you – hence the abuse of this passage by the “name it and claim it” crowd. However, if you utilize “Biblical Context” you will also find that it is written in 1 John 513-14, which states: “These things have I written unto you that believe on the name of the Son of God; that ye may know that ye have eternal life, and that ye may believe on the name of the Son of God. And this is the confidence that we have in him, that, if we ask any thing according to his will, he heareth us.” But if maintain biblical context by cross-referencing God’s word with God’s word concerning the act of prayer wherein there is petition, we find that there is a condition to receiving what we would seek of God, wherein “if we ask any thing according to his will, he heareth us.” It is because of mistakes by only presenting the immediate context at the expense of the rest of God’s word that whole denominations err from the truth of what is presented within the Bible. Scriptural Reference: One such reference is Acts 20:27, Paul speaking in his farewell address to the church of Ephesus stated: “For I did not keep back from declaring to you all the counsel of God (literal Greek), which is understood to mean everything that God had revealed in the Holy Scriptures of the Old Testament, as well as what the Holy Spirit had revealed to Paul (1 Corinthians 2:13; 14:37; 2 Corinthians 5:19-20; 1 Thessalonians 2:4, 13; 2 Thessalonians 2:14-15; 1 Timothy 4:1; 2 Peter 3:1-2, 15-16) and within his letters to the church, as well as his preaching which included what we refer to as the epistles in the New Testament – “all the counsel of God” is a reference to what we would refer to as God’s Holy Word, the Bible. “And as some spake of the temple, how it was adorned with goodly stones and gifts, he said, As for these things which ye behold, the days will come, in the which there shall not be left one stone upon another, that shall not be thrown down. And they asked him, saying, Master, but when shall these things be? and what sign will there be when these things shall come to pass? [here we see the 3 questions: 1) “when she all these things be” – when will the temple be destroyed, 2) “what will be the what sign will there be] And he said, Take heed that ye be not deceived: for many shall come in my name, saying, I am Christ; and the time draweth near: go ye not therefore after them. But when ye shall hear of wars and commotions, be not terrified: for these things must first come to pass; but the end is not by and by. Then said he unto them, Nation shall rise against nation, and kingdom against kingdom: And great earthquakes shall be in divers places, and famines, and pestilences; and fearful sights and great signs shall there be from heaven. But before all these, they shall lay their hands on you, and persecute you, delivering you up to the synagogues, and into prisons, being brought before kings and rulers for my name’s sake. And it shall turn to you for a testimony. Settle it therefore in your hearts, not to meditate before what ye shall answer: For I will give you a mouth and wisdom, which all your adversaries shall not be able to gainsay nor resist. And ye shall be betrayed both by parents, and brethren, and kinsfolks, and friends; and some of you shall they cause to be put to death. And ye shall be hated of all men for my name’s sake. But there shall not an hair of your head perish. In your patience possess ye your souls. And when ye shall see Jerusalem compassed with armies, then know that the desolation thereof is nigh. Then let them which are in Judaea flee to the mountains; and let them which are in the midst of it depart out; and let not them that are in the countries enter thereinto. Wherein the rest of this passage starting from verse 4 on is an answer to their first question which was recorded in Luke 21:20-40, which included the sign of Christ return. Interestingly, the same amount of time from when the Israelites were cursed by God to die in the desert after the golden calf incident, 38 years to fulfill God’s judgment against that generation; for them to die off and their children to enter the promised land. Regarding this event we should remember that it was there murmuring that displeased God the most. Murmuring is display of a complete lack of faith. It is to make verbal an accusation against God. They even went so far as to accuse God concerning their children dying in the desert. Yet it was they who died because of their complete lack of faith and trust in God. It was they who did not enter the promised land except for the two individuals, Joshua and Caleb Who displayed faith in God. We will see below that there was only one order given that included this specificity, but I’m getting ahead of myself. Let me start by presenting the work of a man who over 114 years ago deciphered this amazing prophecy. 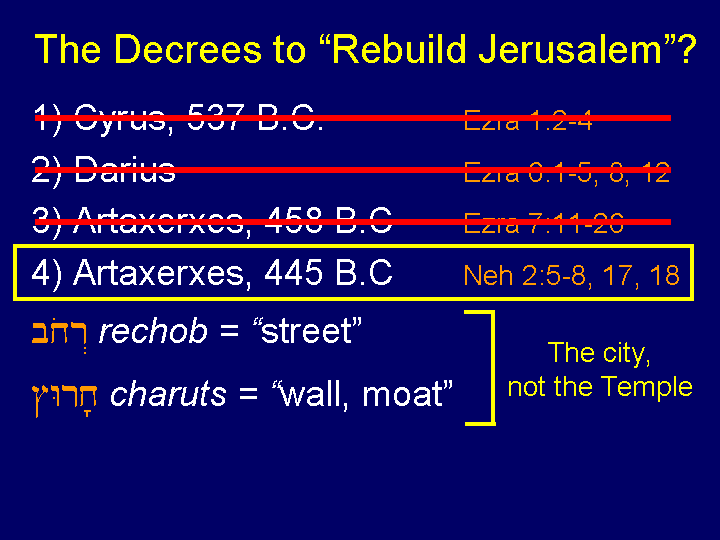 Now we understand that there were 3 foreign Kings that gave dictates to rebuild part of Jerusalem, yet the last of these 3 kings, King Artaxerxes gave not one, but two degrees to rebuild Jerusalem, and it is this last degree which actually was an order to rebuild the streets and the walls, which is an order that precisely meets the prophecy in rebuilding the city proper, which is what the Hebrew indicates. 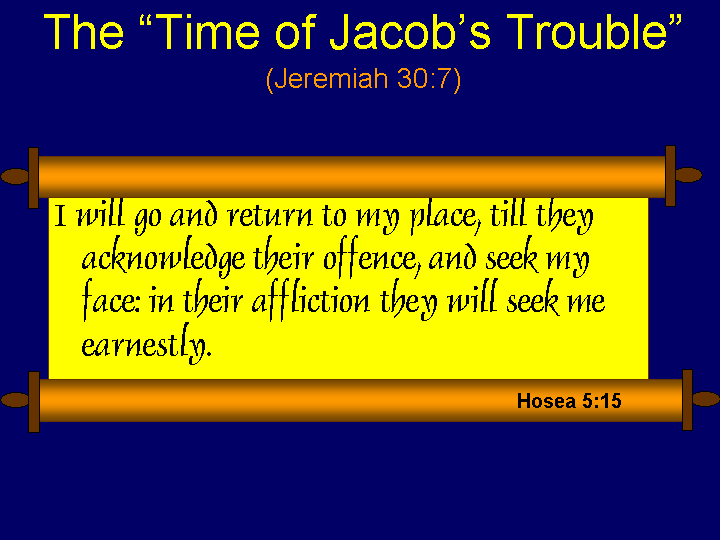 Verse 25 states: “… commandment to restore and to build Jerusalem unto the Messiah the Prince shall be seven weeks, and threescore and two weeks,” concerning the time-table in order to figure out the map this prophecy. This phrasing: “unto the Messiah” is saying unto the presentation as Messiah – it would be similar to using the word “manifestation” of the Messiah. However, the point of this prophecy is that God makes the rules, He defines what calendar system He uses as seen in His use of the same 360 day year in the book of Revelation, as well as in the beginning – in the book of Genesis. This prophecy is from God’s perceptive, not our sinful one; but His perfect one. And God in His foresight made sure to record in the book of Revelation that He continues to determine time on earth at 360 day per year – though sin has changed time for man, it has not changed it according to God and His prophecy to man. This is my chart, and I give permission for anyone to copy it. (SIDENOTE: And I pose a question yet again, how many of you have heard this teaching before. The reason I keep making the point that some of these teachings which were previously unknown to you can be explained from God’s Word, is because someone put in the arduous and laborious work to address complicated issues in order to commit themselves to the understanding and teaching of God’s Word. And this is what the church is all about first and most – training of the saints [Ephesians 4:11-12] to do the work of the ministry – this is done by teaching the Word of God as its primary function. When the church first began, its power and potency was because of this, as seen in Acts 6:1-2 – which displays the mindset of the leadership when it came to dealing with pragmatic problems – the Word of God was always first, not the needs of the people. God will take care of the people, but the people need to put God first by putting His word first as this text communicates. “KISS” [“keep it simple stupid”], is not the catch phrase for a Christian – “KIITW” [“keep it in the Word”] is). Because a picture can be worth a 1000 words, the following diagrams were created by Chuck Missler of Koinonia House, and are presented here in order to more easily present this complicated subject. These are presented under the conditions of the “fair use” doctrine. 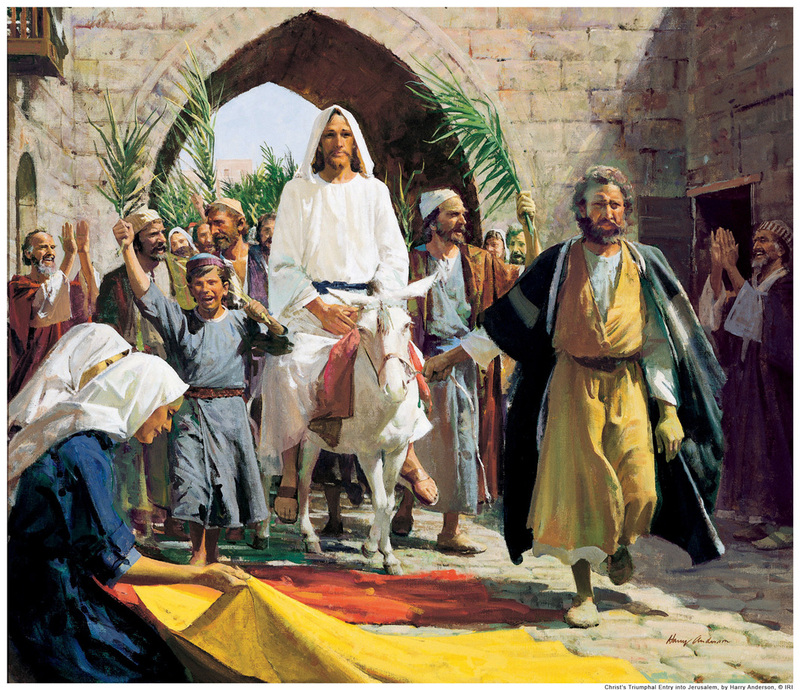 On the 10th of Nisan (April 6th) on the Hebrew calendar; Jesus did something that He had never done before, He accepted worship – no, He orchestrated to be worshiped2 This was the one and only day that the Jesus presented Himself to Israel by fulfilling prophecy (such as riding an un-ridden colt ~ Zech. 9:9), this is when Jesus declared Himself openly to all of Israel, including the leaders, not just to individuals or small groups, but to the nation as the Messiah. What’s funny, is that when Jesus tells his disciples to go get the colt at a certain location, what is not obvious in the English, but is in the Greek is that He tells them to use a particular phrase wherein the inhabitants would understand its meaning. They just didn’t go down some street and pick up some animal, this was pre-arranged by Jesus himself. We must understand that: “one jot or one tittle will by no means pass from the law till all is fulfilled”3, was literal in every sense of the statement. 1) The “Immediate Context” which has to do with the text surrounding the passage. 2) The “Biblical Context,” sometimes referred to as the “Doctrinal Context” which has to do with the complete word of God. God has so ingeniously designed His Word that there is not simply a chapter that deals with one doctrine, then another chapter that deals with yet another doctrine; or where a particular subject is organized in a particular area of the Bible, in a particular book. If this was the case, then editing any subject out of the Bible would be easy; however, this is quite the opposite from God’s design. God has distributed text concerning any specific doctrine over the whole spectrum of the Bible so that if any book is removed from the Bible, the Bible still addresses any doctrines taught in that specific book, in yet another book. There are passages and chapters which appear to be the masterpiece (Magnum opus) on any subject, such as 1 Corinthians 13 being the “love chapter”, or Hebrews Chapter 11 being the “heroes of faith” chapter. However, these are not the only passages which thoroughly address these subjects; God has interwoven the subject of love and faith through all of His Word. Many times understanding an issue that seems somewhat vague is made clear according to other passages in the Bible on that same subject, which mandates cross-referencing any doctrine or issue in the Bible to gain the widest perspective; therefore, the most intrinsic details God wishes to communicate in His Word are never lost due to deleting or maliciously editing certain books. The question of context has always been difficult to address due to a couple of reasons. For one, addressing a singular topic within a passage by isolating it from the rest of the passage is common, and while appearing to address the plain text in order to be time sensitive concerning the amount of time allowed during a teaching session; it is sometimes it is not an obvious connection that a text has with previous or following text that becomes a casualty of brevity. 1) Immediate Context~ As stated, isolating a portion of a verse from the context of the whole passage may render it more easily misused or abused in situations or events unrelated or outside of the intended immediate context for which the passage was initially meant. When a single verse is isolated from a paragraph addressing a specific subject or the chapter it is a part of, rather there is an obvious connection or not. It must be remembered there is a reason that the Holy Spirit connects verses (and sets the chronology of), issues, doctrines, and even “trains of thought” within God’s Word, and taking a verse out of context may disturb the purpose the Holy Spirit intended. 2) Biblical Context~ Also as stated above, there is the concern of Biblical context, which deals with the congruence of a passage when isolated from the rest of the Bible and presented singularly, when God meant for it to be connected to other passages on the same subject. The following must be taken into account concerning the Bible as a whole document, as opposed to individual books. A) Consistency~ From man’s point of view these 66 books were written independently, yet from God’s perspective all 66 books are one complete message from Him; this is one of the internal proofs of the divine origin of the Bible(and should be a reason for building our faith according to Rom. 10:17; 1 Pet. 1:23), as God and God alone is the only one that could present a consistent message without contradiction through 40 different writers from many diverse occupations and backgrounds, written from 3 different continents (in 3 languages, mainly Hebrew and Greek, with some Aramaic), over almost 1700 years. B) Application ~ This is why each text of Scripture must agree with every other text of Scripture on the same subject if it is to be understood correctly, because if there seems to be a contradiction, then this implies that either the two text are dealing with different subjects (meaning we must have an apples and oranges situation), or there is a diverse application to one of the texts. Application makes an immense difference. Example: If you are dealing with the phrase, “the faith” within the Bible, you have a few different applications, which would change what this phrase was referring too. The point is, by misapplication, many Scripture verses can be used to say the opposite of what they are meant to convey – which has been done far too many times. therefore, it is when we cross reference a scriptural passage with another scriptural passage on the same subject that we utilize biblical context, while also being aware of diverse types of applications, yet it is the grammar that will correct any problems some applications, but not so concerning context. This is why the “whole counsel of God” (Acts 20:27, literal Greek) as Paul referred to it is necessary to maintain the correct understanding of the text. 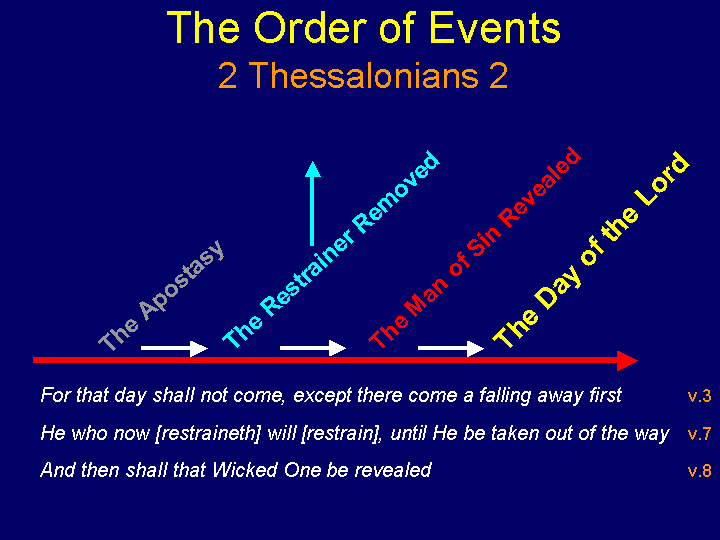 Diagrams created by Koinonia Ministries – Thank you Chuck Missler. 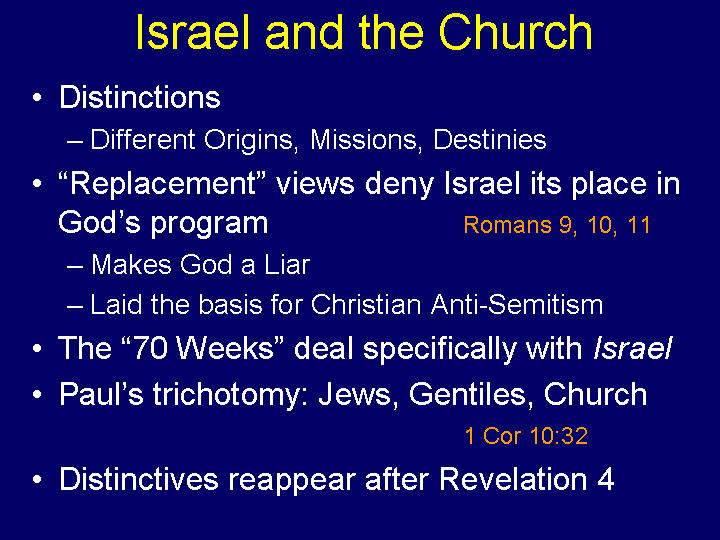 This parentheses referred to as the “church,” is a mystery unspoken before Paul’s revelation, and will last for an disclosed amount of time (until “the times of the Gentiles is fulfilled” – which is who makes up the church, the Gentiles ~ Romans 11:25) until Jesus will return in the air to reclaim Hid church, by being “caught up“ (1 Thess. 4:17 ~ “Then we which are alive and remain shall be caught up together with them in the clouds, to meet the Lord in the air: and so shall we ever be with the Lord.”), and God will again deal with Israel; and fulfill the rest of His prophecies concerning the remnant that will come back to Him. There are twenty-four gaps in the Bible. These gaps of time are located between Scriptures that are not identified as having breaks in the text, in which God hides valuable treasures. They are hidden truths that God reveals to His own, in His own time. They center on the Church, Christ’s Bride. The Church was not spoke about in the Old Testament, it is an unrevealed surprise, a “Mystery,” (Greek, “Musterion,” something totally hidden, with no hint it existed) as Paul states in Ephesians 1:9-10 (V.22); 3:1-6; 3:8-9; 5:32. This is one of many examples in God’s Word where God has created mysteries,3 in which He would guide His own to uncover concerning Christ’s Church and the last days that surround it. It has been wisely said that, “if there appears to be a contradiction in the Bible it is a signpost the Holy Spirit is using to get our attention so as to indicate that the text has hidden or special importance.” The same is true about Biblical gaps, the Luke 4:18, 19 passage is a good example. Because it reveals the misconceived notion that the Messiah of Israel was to come to earth only once as the conquering govern who would expel the usurpers. Where as, when Jesus revealed the gap located in the Isaiah passage, it became known that the Messiah had to come to earth twice. First, as the Lamb of God to die for the sins of mankind, and the second time as the conquering King to take possession of that which He paid for with His life. 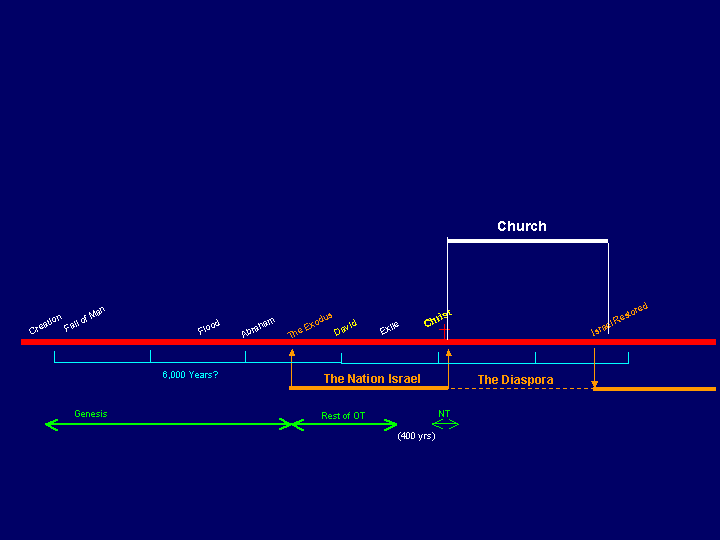 If you study these 24 gaps, when you examine a passage, you will find that the particular gap in time that is being referred too is literally where the Church is present, and concerns Christ’s Church, of which He is the Groom, or the time surrounding the Church. As is true with all studies in God’s Word, that the Holy Spirit would have us understand that the underlying theme is always Jesus Christ, and in this instance Jesus as the Head of the Church. 4. The Greek word used in the above passages that is translated into the English word “mystery” is musterion. It is a derivative of muo (to shut the mouth). Vines states, “In the NT it denotes, not the mysterious (as with the Eng. word), but that which, being outside the range of unassisted natural apprehension, can be made known only by divine revelation, and is made known in a manner and at a time appointed by God, and to those only who are illumined by His Spirit. In the ordinary sense a “mystery” implies knowledge withheld; its Scriptural significance is truth revealed. Hence the terms especially associated with the subject are “made known,” “manifested,” “revealed,” “preached,” “understand,” “dispensation.” The definition given above may be best illustrated by the following passage: “the mystery which hath been hid from all ages and generations: but now hath it been manifested to His saints” (Col. 1:26, RV).